Junaid Khan, the son of Aamir Khan, is a trained actor hence it will not be a surprise to him on the silver screens in the coming future. 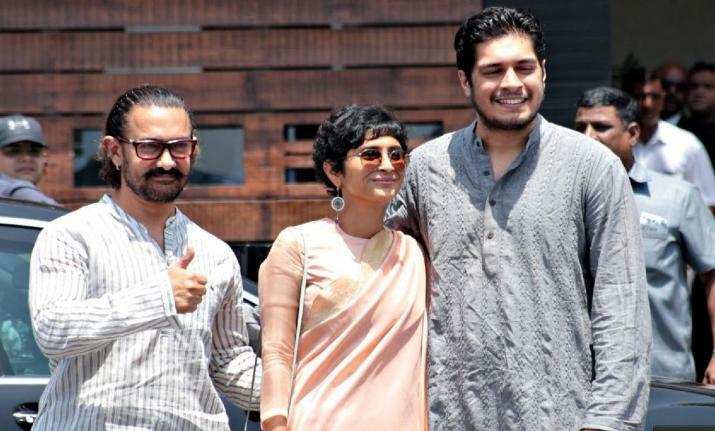 Aamir Khan who remains his strict father is keen on launching his son and is just waiting for the right story to launch his son in movies, however, at the very same time, he has one condition to pose, he has to pass the screen test. Like any newbie, he has to prove his talent first and then take the role for the said film since we know Aamir Khan being Mr. Perfectionist he will not allow his son go and face the camera for any movie until and unless he proves his worth. Aamir while talking about Junaid said that he is happy with the work of his son and that he once passes the alloted test then would get the film. Talking about Junaid, Aamir Khan said that he has been trained in acting and have been regular in plays and theatres. He then said that he is a trained actor and that he has received two years of training and theatre from the reputed institute based in LA called American Academy of Dramatic Arts and the next one year he was doing plays there and later informed that he had been there for three years in theatre. He said in the said interview that he wants to play his son strong characters rather than playing a lead role of a hero. He said that he believes in the fact that people playing the lead roles should be able to have a fair understanding of the characters. He said that people should work on characters and play them rather than playing a hero. He said that he felt happy and satisfied while following principles. He said that his work had hit the home a lot. As per the buzz, Rubaru Roshni is in talks with Aamir to promote her film, which is directed by directed by Svati Chakravarty Bhatkal. The movie chronicles three real-life stories in it dealing with grief and forgiveness. Let’s see how things would move, but we now see aspiring actor Junaid Khan pass his father’s test to appear over the silver screen.